Dimensions: 3.75" x 1" x 1"
I am amazed how well this product works!!! It cleans the screen in one pass. ❤️ It cleans all my electronic screens. I have a smart house with touch pads in every room. They were always covered in finger prints. It was disgusting. This works beautifully! This little gadget really cleaned my iPhone and iPad. Thank you for selling such neat gimmicks on your website. 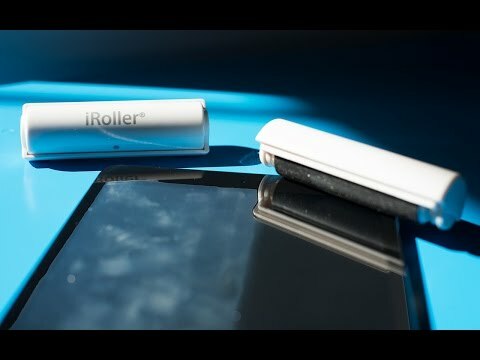 To clean your iRoller, just run the roller under tap water and air dry or gently blot with a lint-free cloth. 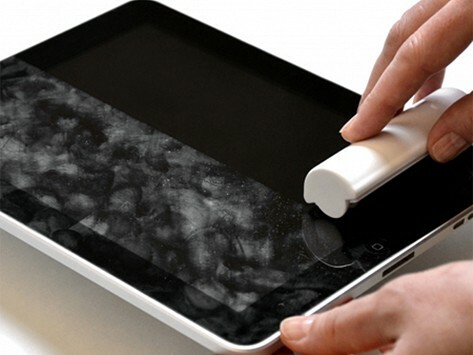 Your iRoller will be ready and waiting for the next round of touchscreen cleanup.